The Canoe Club is proposing to remove the mooring space for the construction of a new slipway to launch canoes. There are already two places on Devizes Wharf which are used to launch canoes. Both of these could be improved to the standard specified in the plans without the loss of existing mooring space for boats on the canal at less cost to the canoe club. The planning application number is 14/05287/FUL. The plans also include the conversion of a building into a new club house for the canoe club, a new shower block and a canoe shed; these buildings will not impact on boaters’ facilities. Shortly after boaters found out about the canoe club’s plans to build a slipway, it became apparent that CRT was planning to close all the permanent moorings at Lower Wharf. One of these boat owners only discovered this when CRT put a block on the renewal of her boat licence. No reason for the closure of the moorings was given by any CRT staff. Following a complaint, the decision to close her mooring was reversed and the boater renewed her licence with the prompt payment discount re-instated. “I find it appalling that I was not advised of this and that I had to learn that my mooring was at risk by the blocking of my licence” she said. “This was very distressing and displayed a lack of courtesy, poor management and a lack of concern for boaters”. “I would not be surprised if the canoe club are behind the threats to get rid of all the moorings and management of the Kennet and Avon canal have got behind them” she continued. It was dated 15th May with a deadline of 16th June for representations, but the notice was removed before the deadline was reached. No explanation was given for the removal but this occurred after a boater contacted CRT to ask why it had published a notice of a lease for land that it does not own. The land and buildings for the club house belong to Wiltshire Council and are being transferred to the canoe club through the Community Asset Transfer Scheme. Use is restricted to community purposes and if this use ceases the property will revert to the Council. The land on the canal bank where the slipway is proposed belongs to Wadworths Brewery and is being transferred to the club. The transfer of the land and buildings was supported by CRT. 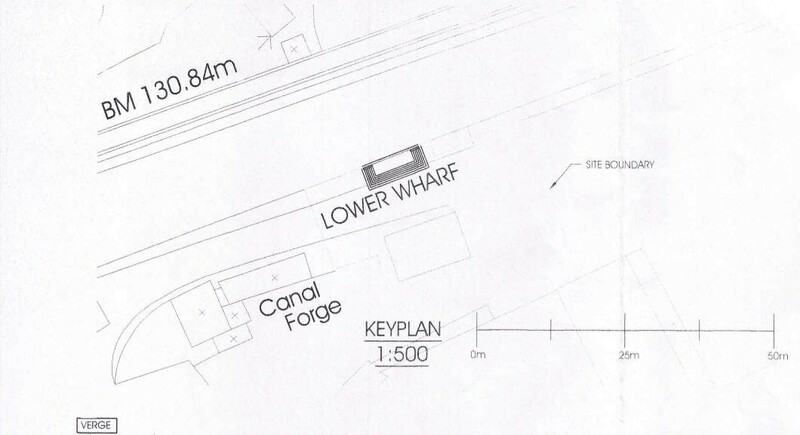 The ownership of the land at Lower Wharf is complex and the owner of some of the land where the moorings are is unknown; however CRT currently charge an annual fee of about £1,000 for each moorings. The picture below shows the site of the proposed slipway. This entry was posted on Monday, June 23rd, 2014 at 4:57 pm	and is filed under News. You can follow any responses to this entry through the RSS 2.0 feed. You can skip to the end and leave a response. Pinging is currently not allowed.